as in: to bridge the gap/gulf, etc › to make the difference between two things smaller. The Bridges to Opportunity program was developed with five high quality program components that offer services and assistance that can result in life changing improvements. The program components were developed in partnership with many community agencies in the spirit of collaboration and to avoid duplication of services. Services build on existing community resources whenever possible in an effort to educate clients on the rich community resources available to them and to encourage self-help and self-advocacy. Public benefits can provide a temporary footing. Individual benefit application assistance is provided through the Colorado State Human Services online PEAK computer program, or through a traditional paper application. 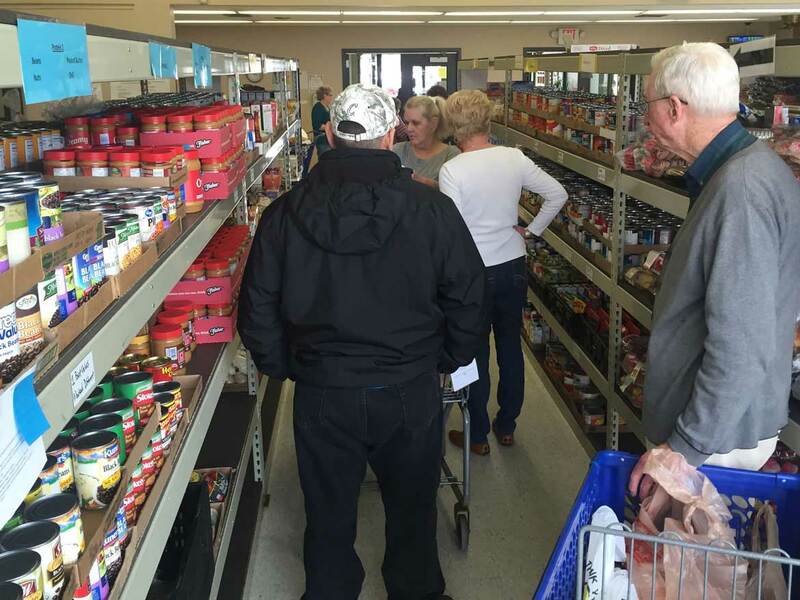 Colorado’s SNAP (food stamps) application process is among the most difficult in the country. Most clients need individual one-on-one assistance to complete the application, as well as understanding the process and required documents they must provide. Assistance with other public benefit programs, such as TANF, QMB (Medicare premiums), SSI/SSDI, LEAP (Low-Income Energy Assistance) & AND are also provided. Residents of Northern Jefferson County did not have a place to turn where they could visit or call for human service resource information and referrals. For services that are not offered by the Bridges to Opportunity Program, community resource information and referrals are provided to help with a wide range of needs for clients from all age groups and walks-of-life. Access to information helps clients become empowered and enables them to utilize all the resources available to them. Resources for referral include clothing banks, housing opportunities, household items, utility assistance, VA services, schools supplies, other food programs plus more. The Bridges to Opportunity program is a partner site for the Colorado Collaborative ID Project. Vouchers to cover the cost of obtaining a State ID, State Driver License or In-State Birth Certificates are available. Contact the Bridges to Opportunity staff for more information. A quality education leads to greater opportunities toward goals of self-sufficiency. Individual volunteer tutors assist participants preparing to take their GED test. The Bridges to Opportunity program is the only free GED study center in Northern Jefferson County that has a client computer room. We provide a study site, study materials, and when available, financial assistance to pay for GED testing fees. The Jefferson County Public Library helps support this program through their own online GED study program. Red Rocks Community College partners to support students preparing to take their test and transition to college opportunities after earning their GED. The Job Search Readiness component helps clients prepare themselves to become the strongest job applicant they can be. This component is offered in partnership with the local Arvada Colorado Stake of the Church of Latter Day Saints. The Bridges to Opportunity program provides one-on-one help with resume writing, cover letters, and help with computer job search and online applications. In addition, assistance with completing traditional paper applications, mock interviews, basic computer skill building and individual job coaching are all available. Community resource referrals can help provide free interview appropriate clothing. Our client computer room is a unique service of Community Table Bridges to Opportunity program. Equipped with five laptop computers and printer, it is available to support all program components. 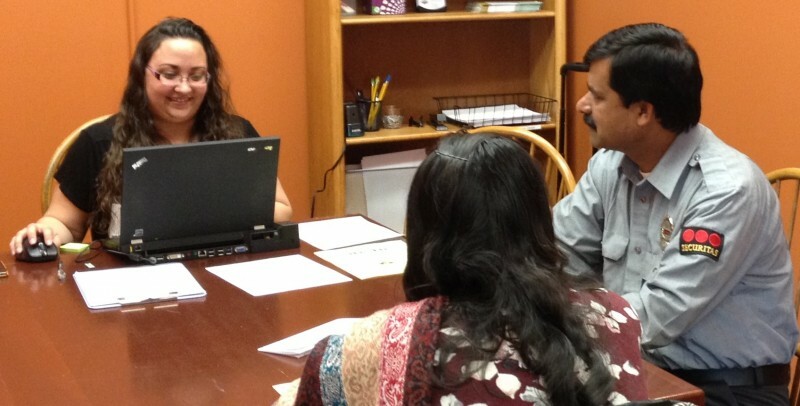 Staff and volunteers help clients who need assistance. Clients can independently use them to apply for benefits, look for resources, work on resumes, search for job opportunities, study for their GED, and improve their own skills. The computer room is open Monday – Friday, 12:00 pm to 3:30 pm. In 2013 Community Table received a three year grant ($60,000 per year) from the United States Department of Agriculture to develop and implement this essential program. In August of 2016 this grant will end. Your donation will provide essential funding to ensure this program remains available to assist clients with GED preparation, access to computers for job search, and assistance applying for public benefits.